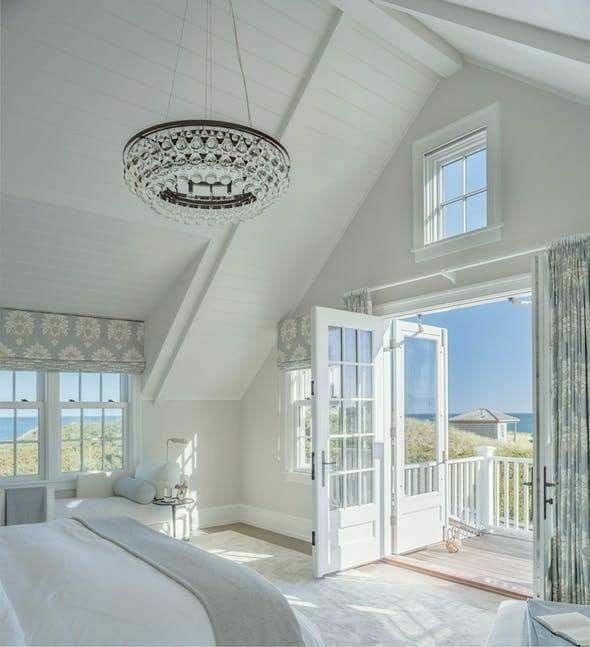 If you are a modern farmhouse, beach house coastal , or cottage chic kind of girl, then shiplap is your new best friend. If you didn’t know much about shiplap before Joanna and Chip Gaines started HGTV’s hit TV show “Fixer Upper,” you DO NOW. It is the perfect combination of rustic warmth meets casual elegance, and can be incorporated into almost any decor style. If you wan to learn more about shiplap Click The Shiplap Guide: Shiplap, Tongue & Groove, and Plank Walls (Part 1). So, now that you know what shiplap is, you’re probably needing some ideas on how and where to use it- right? Well, you’re reading the right post. Here are 41 inspirational pictures to get you motivated!! *** I am using the term “shiplap” in this post as a collective term that incorporates all 3 methods for getting the “shiplap look”. These pictures will either use 1. shiplap, 2. tongue & groove, or 3. plank methods (see post 1). Just wanted to clarify*** SO…..LET’S GET GOING!! Use shiplap in the living room behind shelves, as an accent wall, above the fireplace, behind built ins, or on a TV wall. It adds just enough texture to balance out smooth surfaces (like electronics, lighting, and curtain rods), and gives the room an instant focal point. Use shiplap with almost any decor style: coastal, farmhouse, shabby chic, cottage, rustic, modern, industrial, and so on. Use it on ceilings or behind the bed to add drama, or use it on headboards/ bed frames to add instant character. Use shiplap horizontally or vertically. The horizontal lines add visual width, whereas the vertical lines add visual height. It looks great behind vanities and free standing tubs. Afraid to commit? Use a small amount (like a half wall) around the tub or in a small half bath/powder room. Shiplap is extremely versatile. It can be painted, stained, white-washed, left natural, or sanded and sealed – to name a few. Paint shiplap white for a fresh clean look or paint it dark for a moody, dramatic look. Leave shiplap natural (knotty and raw) for a rustic look. Use shiplap on entry or staircase walls. It gives your guests a glimpse of your decor style and what they can expect to see in the rest of your home. 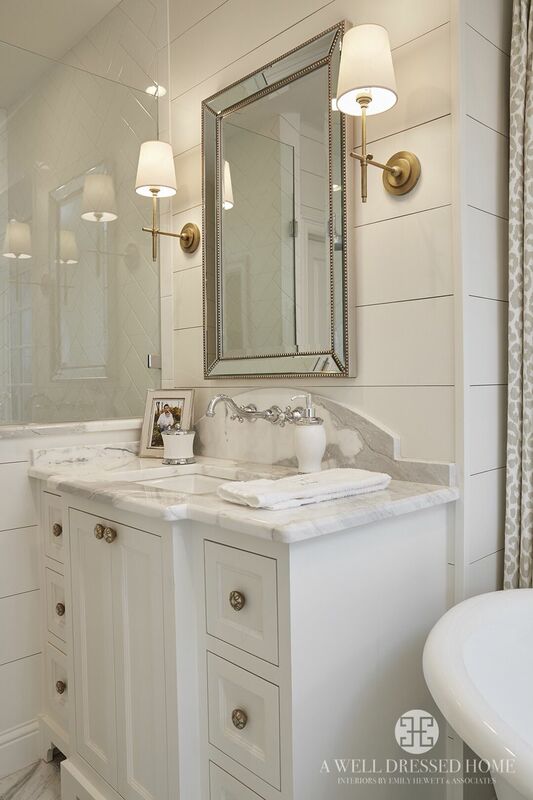 Shiplap also adds architectural detail to small areas, where there is minimal space to place furniture. 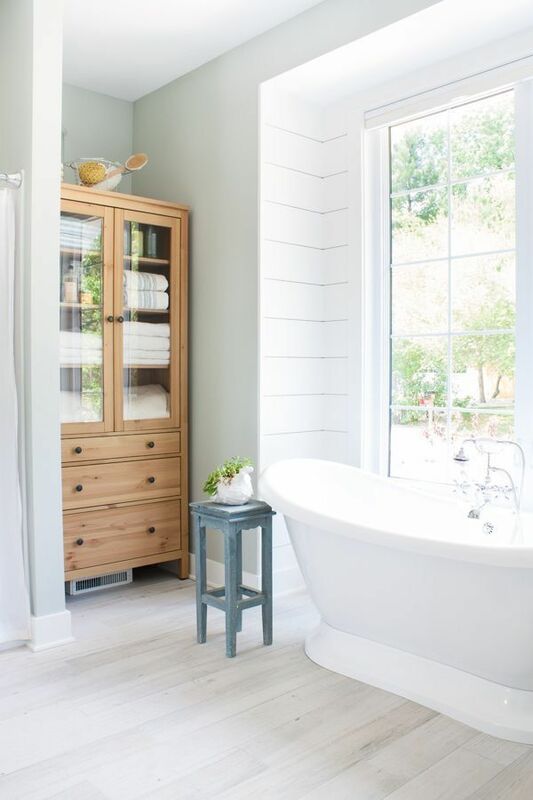 Use shiplap in the hallway as an accent wall, or as a hidden door for the powder bath. It adds a little excitement to an area that is usually left bare. 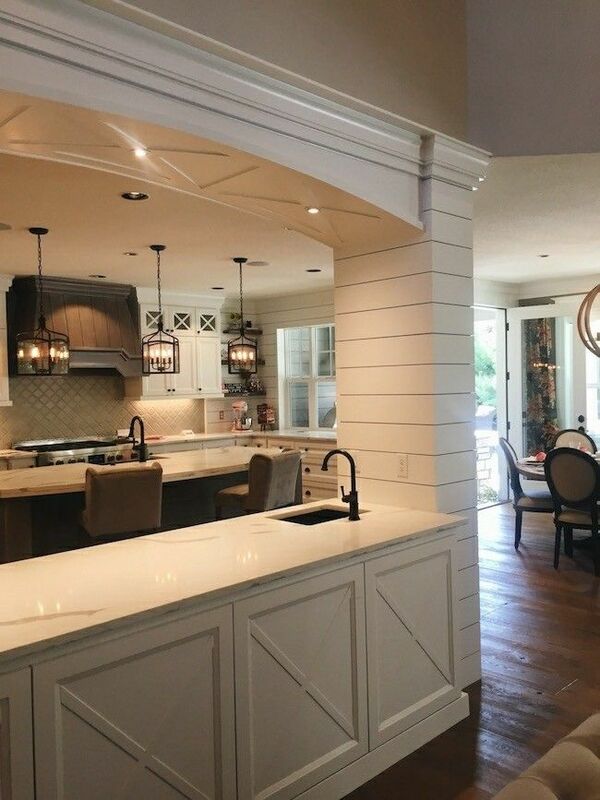 The kitchen gives you a ton of options to use shiplap. Use it as backsplash, on kitchen islands, in bay window nooks, as pantry doors, barn doors, or wrapped columns. Use small boards or wide boards to get the “look” you want. Most common boards widths used for shiplap are 6″, 8″, or 10″. Use shiplap in unexpected places like laundry rooms and mudrooms. These rooms are not typically seen by guests, but can still be beautiful 🙂 Plus, you might need a little inspiration while you work- LOL!! Use it outside in patio/entertaining areas to bring the warm & welcome feeling outdoors. These areas will feel more like extensions of your home, than feeling separate or cold. If you still aren’t sure if you want to add shiplap as a permanent structure, try it out as an accent. It looks great (picture to the left) lying against the wall, and also in a frame (picture below). It will add the character and charm you want without adding anything permanent to the wall. P.S. Which one is your favorite?? Shoot me a comment….I’d love to know! I am so excited for the final reveal – Opening up Kitchen Wall to Living Room to see more pictures.